Over the past few years, the number of Connecticut breweries has increased and several are poised to open up their doors and let their beer flow. From tiny breweries that could fit in a basement to a factory-sized behemoth, the market for local beer is getting more diverse every month. 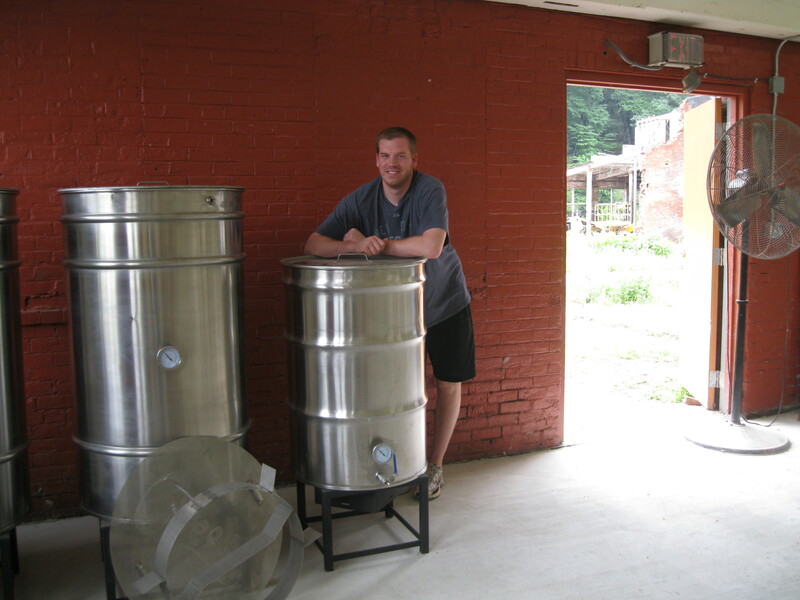 One of the smaller breweries is Top Shelf Brewing, 640 Hilliard St., Suite 3104, in Manchester. Driving south down I-91, in Manchester, I came to what looked like a replica of some bombed out London neighborhood circa 1945. It was, as it turned out, just a crumbling brick building behind Hilliard Mills, a complex of small businesses.Inside a more robust looking red brick structure was Michael Boney, founder and head brewer of Top Shelf. In his very small brewery (3 barrel system in a 2,000 square-foot space), Boney hopes to make three beers at first: an American, Irish and Belgian ale..
“There’s always lots of paperwork,” said Boney, 33. “We had to update everything in 1890s era building. Electricity, plumbing.” A lot of the word was already completed by the former leaser, Onyx – a microdistillery. After leasing the property last February, Boney and his two partners hopes to be up and running by the end of this month. As a nanobrewery, Top Shelf will only be able to produce enough beer to satisfy the folks who come down to visit and sample and buy 22-ounce bottles. Should you be in Manchester, by the way, you can also stop by Tullycross Tavern. Beer blogs have all the fun! Seriously, this looks like a great brewery, and I’m hoping they succeed! CT needs more local businesses and breweries! Great share, thanks! Nanobrewery…a new term for me. Cooler than a microbrewery??? Yes, it’s like a boutique microbrewery. A lot of small breweries will have 10-25 barrel systems, reflecting how much beer they can manufacture at one time. Nanobreweries are usually down around 4. Seems like they have a realistic idea of what it takes. If their beer is as good as their plan, they should do well. And, I do love a nice Belgian style brew. Yes, Belgians often hit the spot. These ventures are always really risky, so it’ll be interesting to see what shakes out from this burst of new breweries. I’m not a big beer drinker, but I love to learn about all the CT breweries! Thanks for the post! I’m glad you like to learn. The beer community in Connecticut is just so cool. Even if you’re a casual drinker, the kind of people you meet at these breweries are endlessly entertaining. Unless they’re drunk. Then stay away.